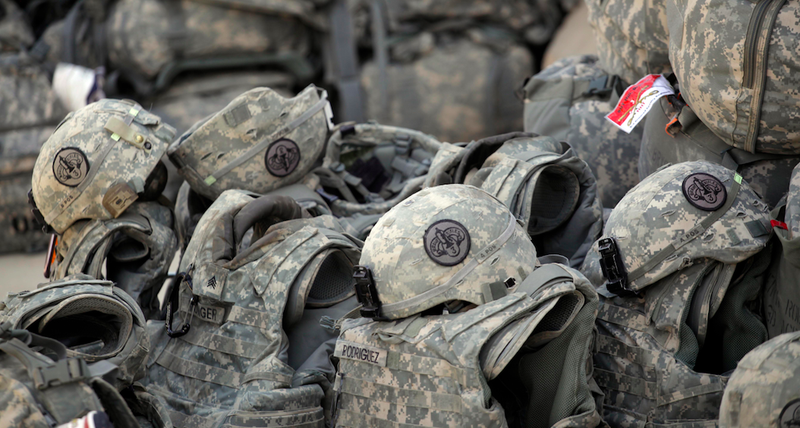 After multiple investigations, the Department of Justice found that a company that employed prisoners to build U.S. military helmets produced thousands of defective products, putting combat soldiers at risk. The Office of Inspector General worked with the Defense Criminal Investigative Service and the U.S. Army to expose poor manufacturing practices by a company that paid inmates to make military helmets for the Department of Defense. According to the DOJ’s report, FPI is a government-owned company established by an executive order in the 1930s, and whose aim it is to provide prisoners with jobs that can help make them marketable after they’ve served their time. FPI was awarded a $23,019,629 government contract in 2008 to build Lightweight Marine Corps Helmets, or LMCHs. The Beaumont, Texas-based FPI produced about 23,000 helmets, selling and delivering only 3,000 to the DOD, though the DOD never paid because all 3,000 were defective. In fact, at the end of an investigation by the Office of Inspector General, all 23,000 LMCHs were quarantined. But FPI had also worked as a subcontractor for Ohio-based company ArmorSource, which was one of four companies contracted to manufacture Advanced Combat Helmets, or ACHs. The two companies made 126,052 helmets from 2006 to 2009, for which ArmorSource made a total of $30,336,461.04. The investigations found that both FPI’s LMCH helmets and the ACH helmets it produced for ArmorSource were riddled with manufacturing defects. In particular, the two types of helmets had “serious ballistic failures [see image above], blisters and improper mounting-hole placement and dimensions,” and that the helmets had been re-pressed to hide bubbles, an action that was expressly forbidden in the contract. The findings also say the helmets had been made with “degraded or unauthorized ballistic materials (See figures 4 and 5),” expired paint, dated manufacturing methods, and that they were riddled with deformities. The DOJ report also uncovered makeshift tools that inmates used to make the helmets—tools that not only led to poorly-made headgear, but also could double as weapons, making prisons less safe. Besides the shoddy materials and bad manufacturing practices, there was also shadiness going on in quality control. The report says the FPI “pre-selected” helmets for inspection, despite the contractual requirement that helmets be randomly picked. The investigation also says the FPI staff asked inmates to alter manufacturing documents to indicate that inspections had all passed, and that helmets had met the specifications outlined in the contract. On top of all that, the report says that FPI also fiddled with the helmets’ serial numbers. So clearly, FPI was running a madhouse. These helmets are a big deal for soldiers’ safety, and the DOJ report makes that abundantly clear. It says says the defects found in the investigation could “likely cause serious injury or death to the wearer,” due in part to reduced ballistic and impact protection. The good news is that the investigation says it doesn’t have any information indicating that defective ACH helmets resulted in injuries or deaths of soldiers, and luckily the LMCHs were quarantined before they ever got out. In the end, about 150,000 helmets were recalled (126,052 ACH and 23,000 LMCH). The ACH recall alone, according to the investigation, cost the government over $19 million, so add the LMCH recall and this was clearly a major cash drain. As for that Beaumont FPI facility, it’s been closed down, and its staff has been put on other assignments within the Federal Bureau of Prisons. ArmorSource agreed to pay $3 million “based on its demonstrated ability to pay,” but no criminal prosecution at all resulted from all of this madness.